Ladies, the doctrine of sufficiency of Scripture simply means that God’s Word is all we need for our authority on who God is and who we are in His service of faith. 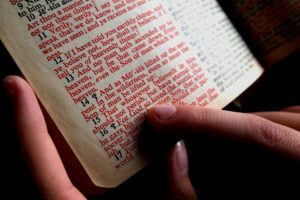 Unfortunately, extra-biblical revelations, traditions, mysticism, spiritual deliverance ministries and every other false teaching and trendy movement in evangelicalism has stemmed from the disregard of Sola Scriptura, Scripture Alone. Here’s an opportunity to dig deep into God’s Word and learn about how to discern in these uncertain times. 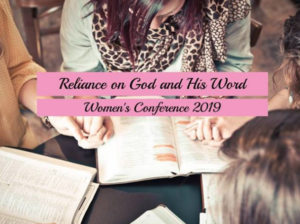 For those of you living in the Midwest or who have the ability to travel, I hope you can attend a women’s conference titled, Reliance on God and His Word. The free conference is happening in Princeton, Il., March 29 – 30 at Princeton Bible Church. Join us on Friday evening and all-day Saturday as we fellowship and search the Scriptures together. Be refreshed as we look at what the Bible says about suffering, discernment, and supporting one another. We will be learning from our wonderful guest speakers, Michelle Lesley (michellelesley.com) and Amy Spreeman (naomistable.com). All women and young ladies are welcome!